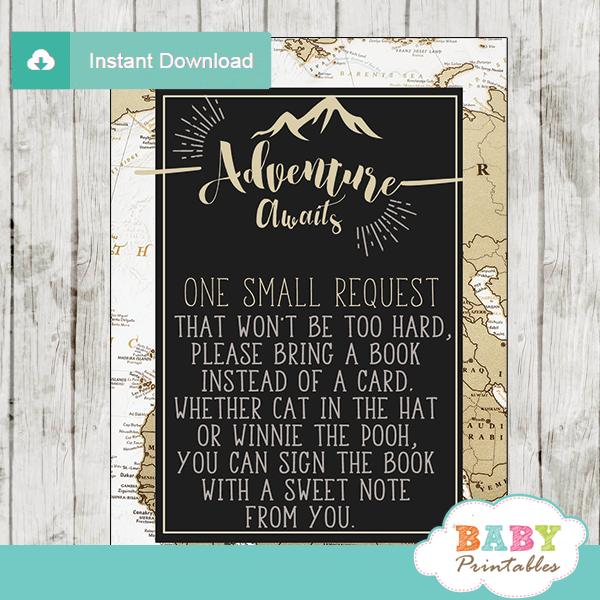 Start building out your little one’s library by inserting these Pumpkin book request cards with your fall theme baby shower invitations. 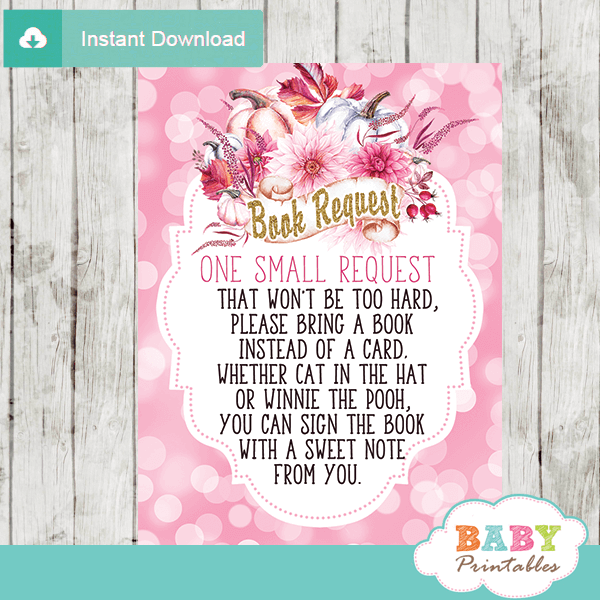 The Pumpkin book request cards feature beautiful watercolor pumpkins, a newborn baby asleep with his toys against a white backdrop decorated with an arrangement of Autumn flowers, leaves and berries in warm shades of fall colors. 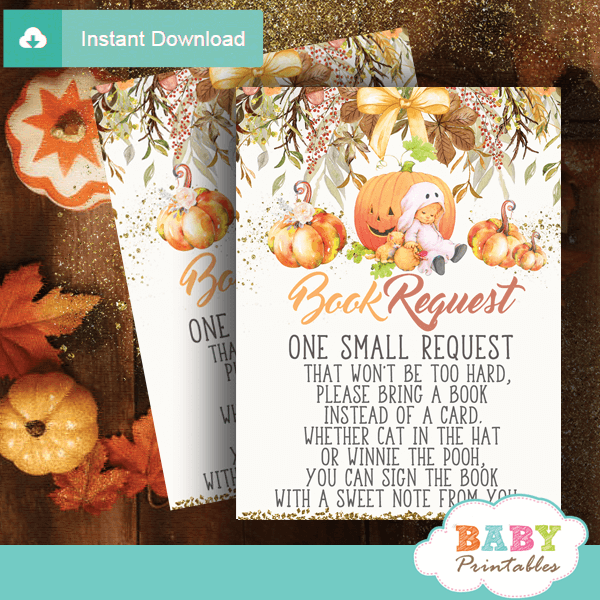 These sweet Pumpkin book request cards make perfect Autumn themed Invitation Inserts. 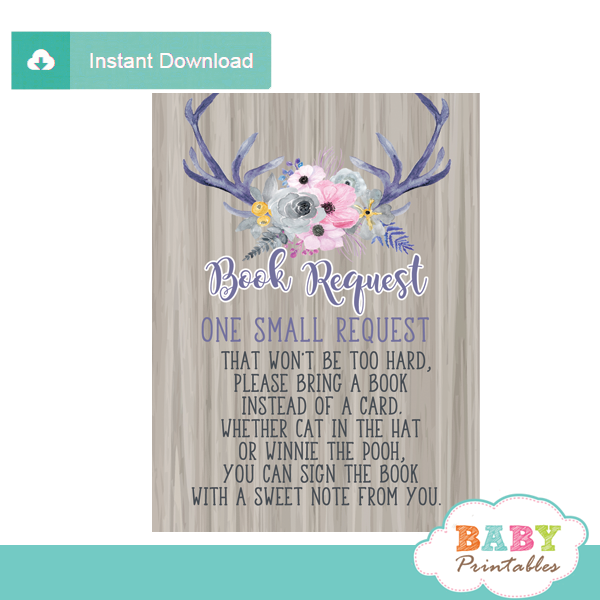 ★ Click here to view matching pumpkin baby shower decorations.